The weather was representative of the atmosphere to be experienced at the latest STARCLUB meeting: perfect and clear! 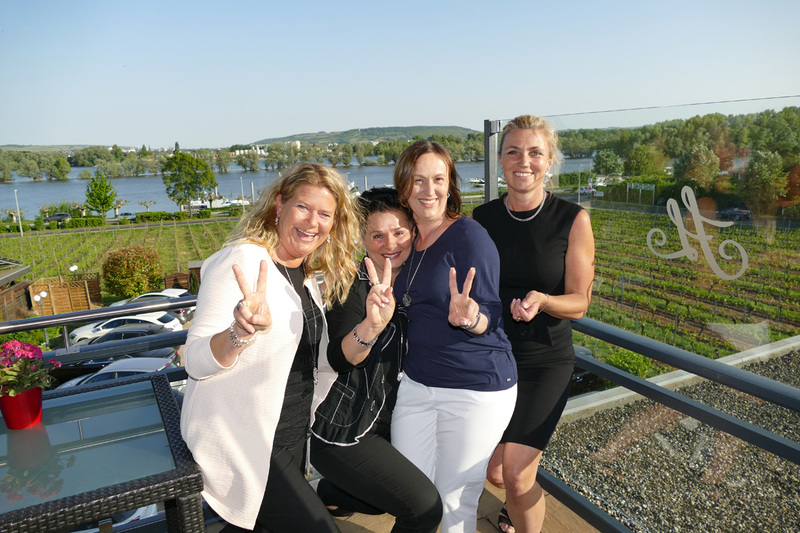 Add to that a hotel full of charm with a fantastic view of the Rhine Valley – the members who had travelled from Denmark, the Netherlands, France, Switzerland and Germany were not only very satisfied with this atmosphere, they were also very happy with the management’s presentations. Roland Förster, Jessica Schlick and Alexander Link shared insights into the company’s recent developments while providing an outlook for its future and thus kicked off a lively exchange with business partners. There were moving moments when the new STARCLUB members were welcomed. It became clear that being awarded the company’s highest distinction for the first time is something very special and creates highest levels of motivation in all those who receive the honours. 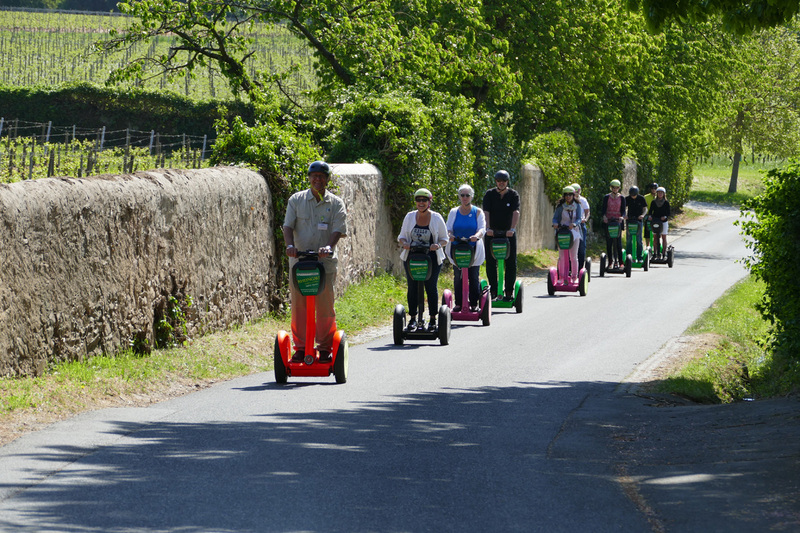 The next day saw the group explore the beautiful Rheingau region on Segways. The initial respect for the vehicle quickly gave way to enthusiastic smiles on the participants’ faces. A small rally was lots of fun whereby the weather contributed considerably. This way to more photos. Leaving your own comfort zone, setting yourself new goals, steadily tackling them with a step-by-step approach and then achieving them! 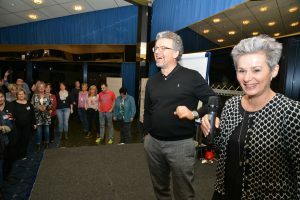 Sjaak Janssen showed the 60 participants how to do that at the meeting to kick off the year that was held in Tiel in the Netherlands on 27 January. The event also included a presentation that showed how our products mesh with the seven pillars of health. The presentations were perfectly complemented by Margreth Janssen’s workshop that was entitled, ‘Thinking creatively about ENERGETIX’s magnetic jewellery.’ Every individual piece of jewellery is associated with starting points that partners can draw on using their own creativity to find arguments that will inspire customers. 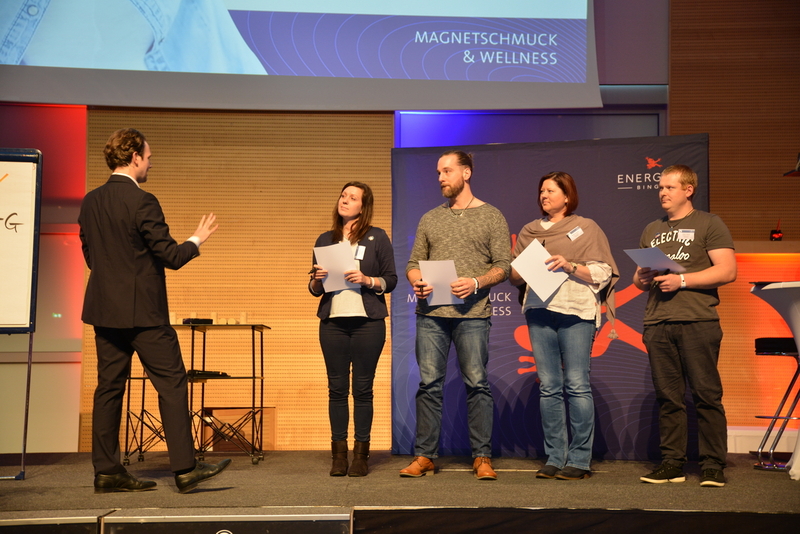 CIO Alexander Link welcomed the many participants from the Netherlands, Belgium and Switzerland on behalf of ENERGETIX and introduced them to this year’s motto, which is: ‘Your time is NOW!’. The 10 newcomers among the guests who are just starting their time with ENERGETIX were particularly interested in the presentations. 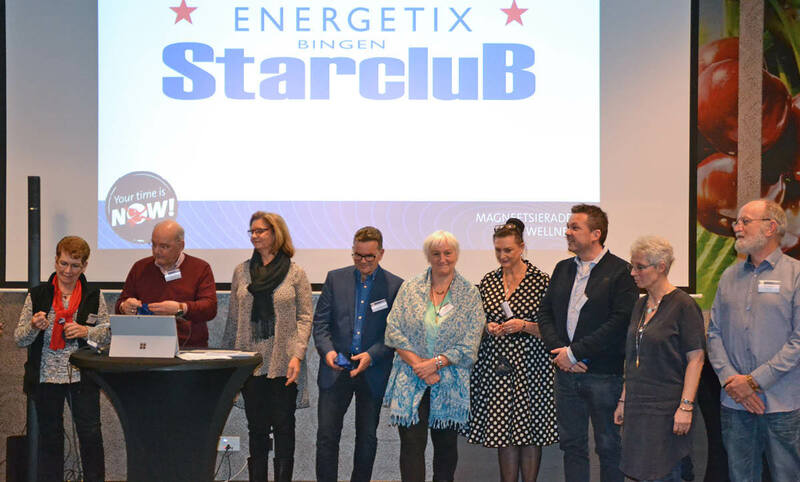 That ENERGETIX can deliver total success was again demonstrated by the awards for the STARCLUB members. Seven of the most successful business partners attended the event. Both newcomers and the old hands were shown how they could use the new SPRING / SUMMER collection and the new Show it! presentation system to launch themselves into the new year. 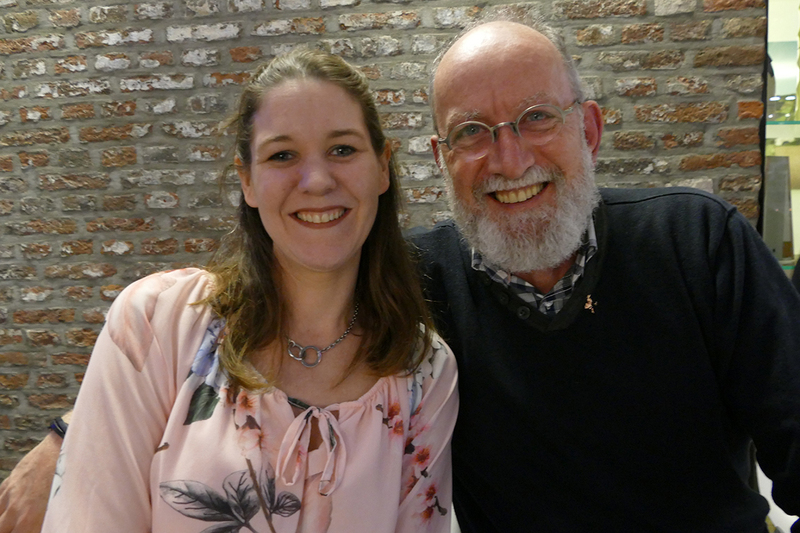 The two received a great response in Tiel and were the subject of competent exchanges. The new competition represents a special incentive to make an intensive start. Alexander Link’s presentation of the training trip to St. Petersburg and the valuable rewards that are also on offer was enthusiastically applauded by the participants. There were only winners in the prize draw that then followed. Every ticket was rewarded with a nice non-cash or jewellery prize. 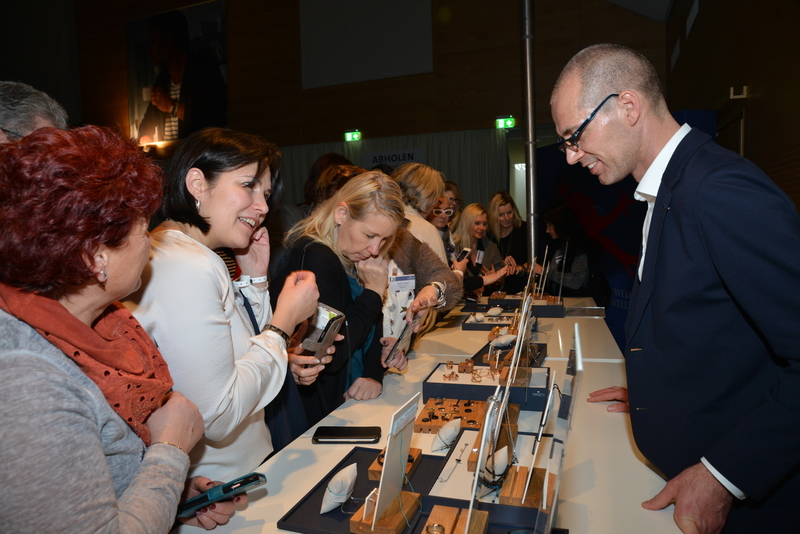 The many emails received after the event show how well received it was, including one from, among others, Lotte Hulsink that said: “What a beautiful and pleasant day! I immediately felt at home as a newcomer. I learned a lot and met new colleagues. It’s fantastic that everybody supports each other with tips. It’s really something special. 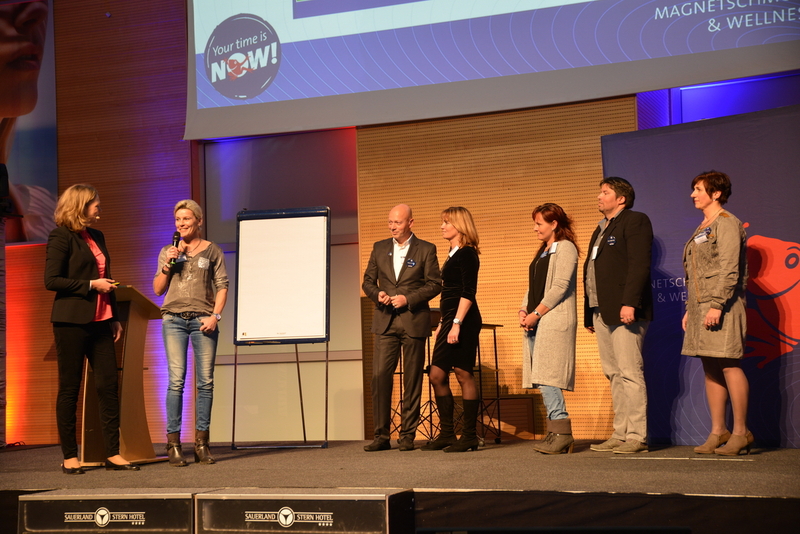 I can’t wait for the next training event!” Motivational boost to kick off the year in the Netherlands! The event definitely increased the desire to make a habit out of success. Thank you to all the trainers, organizers and helpers who contributed to the making the event turn out so well! 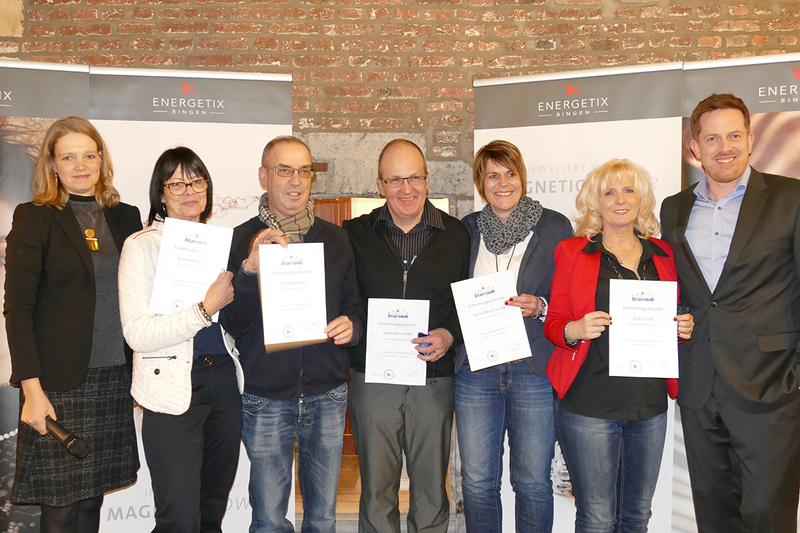 They had travelled from all over France as well as Switzerland and Morocco to kick off the new – and 15th – ENERGETIX year together. 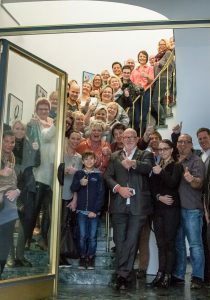 A good 80 participants turned up for the event – even more than in 2017! 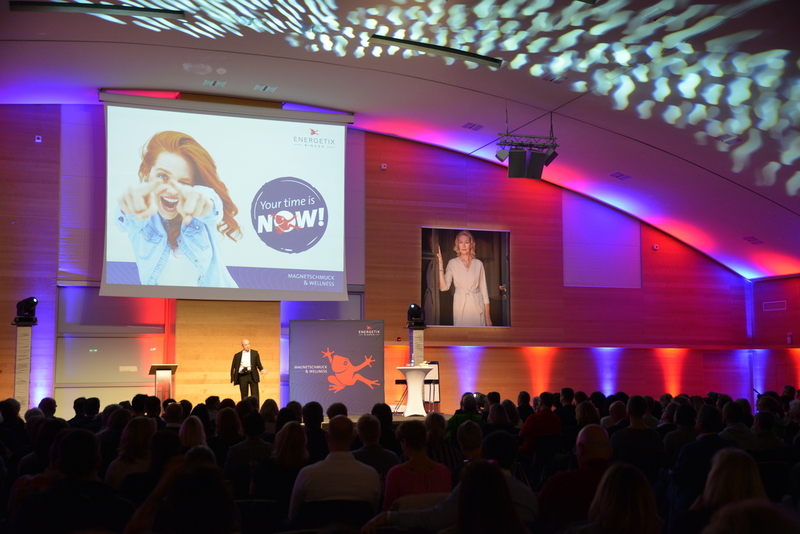 ENERGETIX’s CEO and Sole Shareholder Roland Förster took the motto of “Your Time is NOW!” to talk about the latest developments at the company and motivate his listeners to take every opportunity in 2018 to become even more successful. 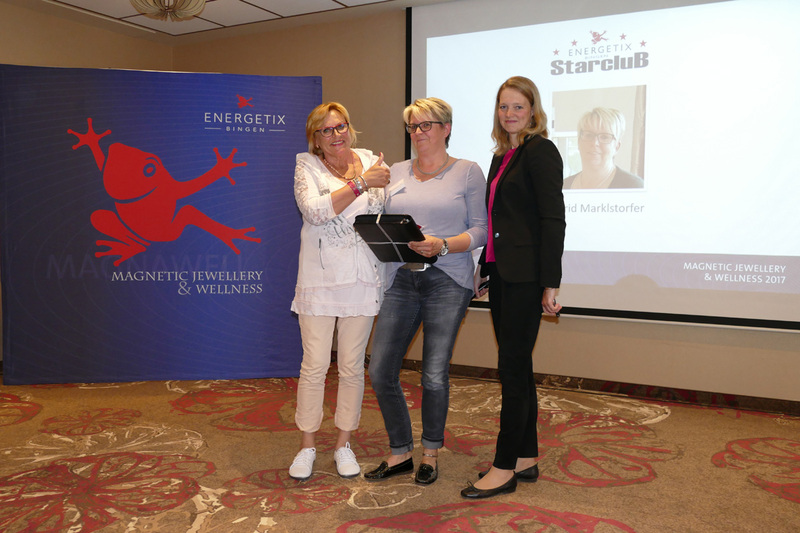 CMO Jessica Schlick and Event Manager Petra Schmeing travelled with him from Bingen to entertainingly present the new training-trip competition and create more emotional highlights on the day with the awards for newcomers, the best and the STARCLUB members. Everyone was really excited about one item on the agenda: the SPRING/SUMMER Collection for 2018 – presented by Jessica Schlick! 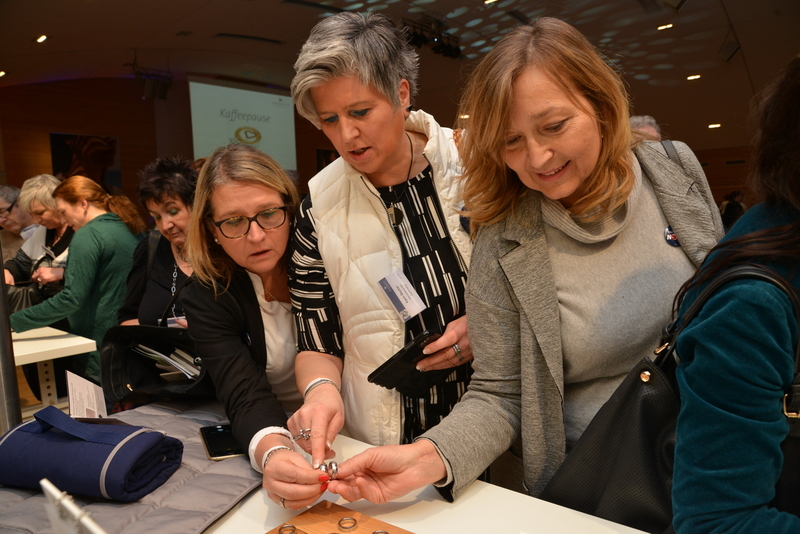 The thrilled participants grasped the opportunity to take a closer look at the new items of jewellery and try them on! 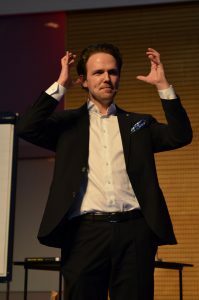 The likeable coach Christophe Thamri made a lasting impression with his presentation that focused on the subject of “Improving skills and adapting business to the 21st century” during which he also shared many practical tips for increasing success. 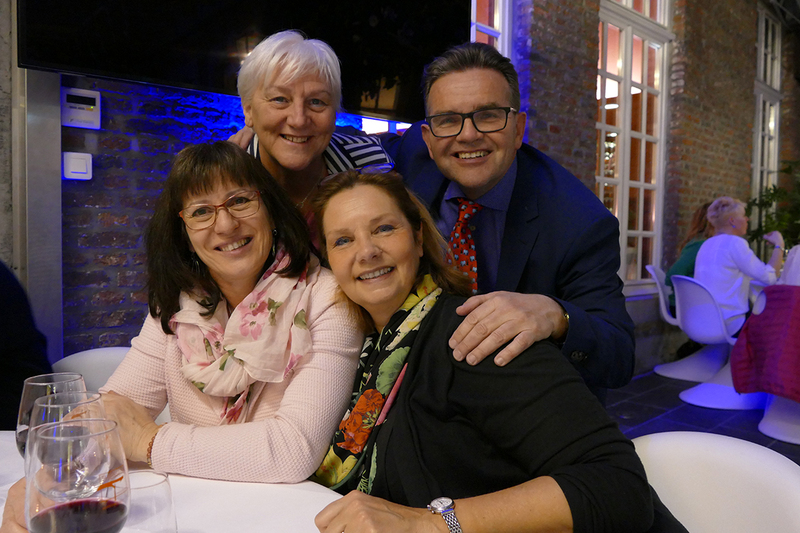 A typically French evening meal and an intensive exchange of experiences rounded off the event in Lyon. We’re very grateful to Josette Desassis for her local assistance and Anke Hesse-Michaelis for her simultaneous interpretation! It’s become the tradition to ring in ENERGETIX’s new year in the winter-sports resort of Willingen at the beginning of January. It’s also become a tradition that the motto for the new year is announced there at the same time. The motto for 2018 is: Your time is NOW! 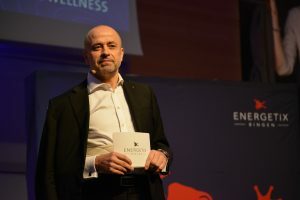 Roland Förster, Sole Shareholder and CEO of ENERGETIX, welcomed his guests warmly. 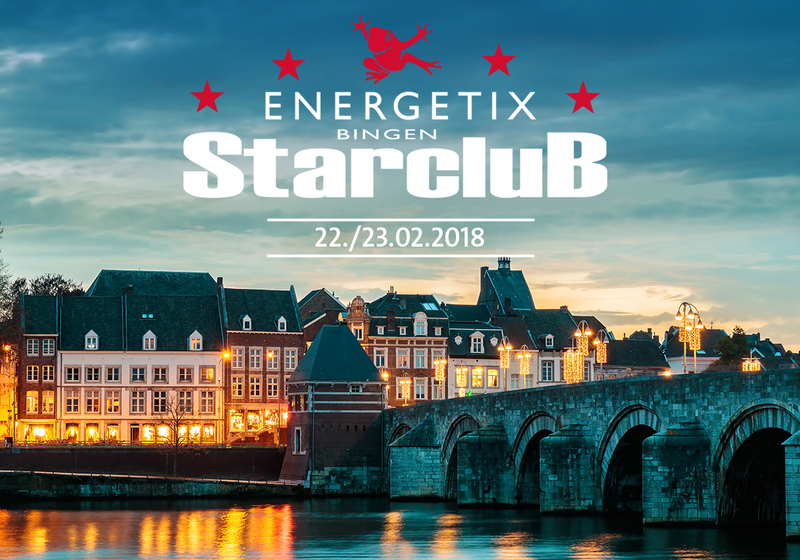 Around 400 business partners and friends from all over Germany as well as Belgium, Denmark, Luxembourg, the Netherlands, Austria and Switzerland – all full of excitement and great expectations – travelled to the venue to launch ENERGETIX’s new year together. 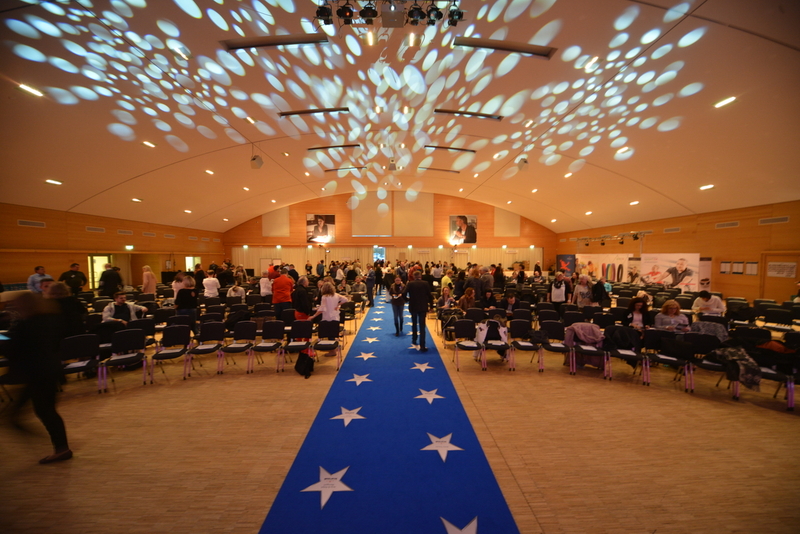 Whether you were there or not: why not take a look at the event? We’ve put together the most beautiful photos and a short film for you! Joey Kelly spoke to his enthusiastic audience about his turbulent 2017 and all the places he’d worn the popular sportEX bracelets. Joey had the flexible silicone bracelets with integrated magnets with him on his Germany run, the half marathon in Mainz, the RTL television channel’s telethon for children in need and during his many TV appearances! 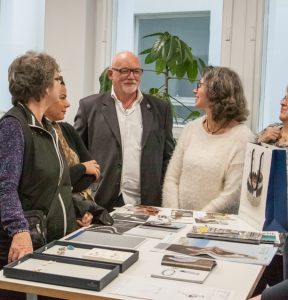 Joey’s many fans are really excited this year because the first three winners in the new competition will be able to welcome Joey in person at one of their jewellery presentations in 2018. A new special award, accompanied by the crowd’s applause, was presented to the fastest newcomers and the best Inja sellers. At the same time, they shared how they were able to achieve these successes with the other participants. The Spring / Summer Collection 2018 thrilled business partners with its many new and modern creations. 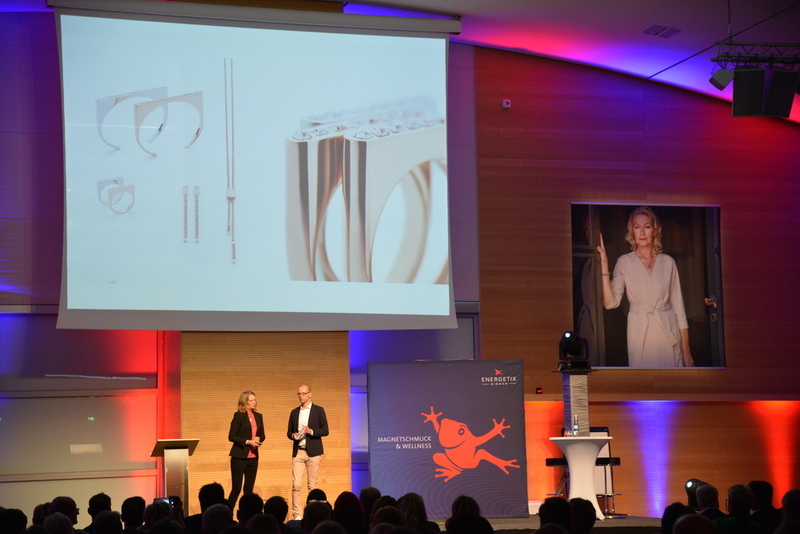 Presented by Andreas Zwierlein (designer) and Jessica Schlick (member of the managment), the innovative items of jewellery and the artistically produced catalogue went down very well with the audience. The event continued in an informative style with Britta Rejek introducing the new Show it! presentation system. The revised Wellness & more brochure with new jewellery for pets and other animals – the highlight being the pet blanket with seven integrated magnets – were very well received. 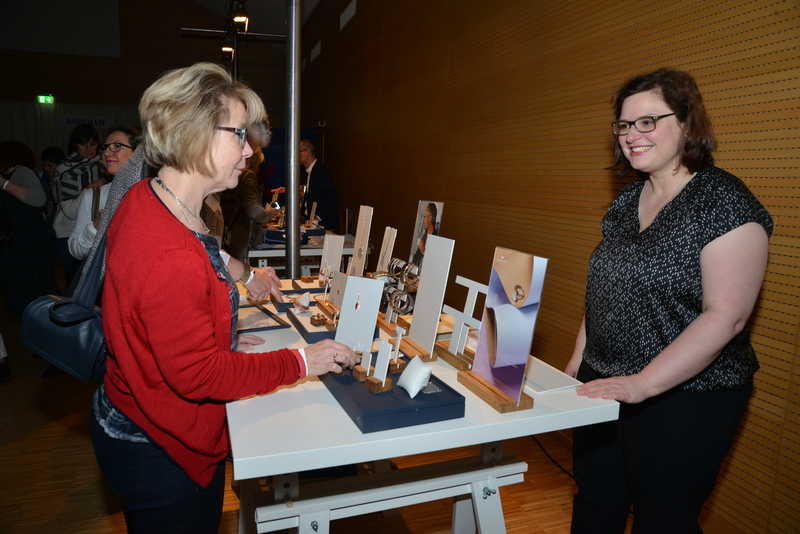 The business partners were then able to take a closer look at the new products during the breaks, including the Show it! presentation system. The afternoon started with important tips and inspiration that were shared by successful business partners. They came on to the stage to talk about how they were able to achieve their goals so successfully in 2017. 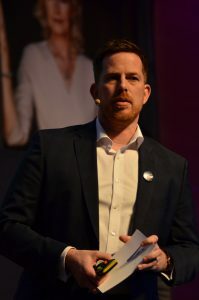 This was followed by Alexander Link’s presentation of new tools that have been designed to make sales and customer management significantly easier. Reading minds? Yes, with “Mind Hacker” Norman Alexander! Engaging with your opposite positively and so being able to initiate a sales pitch or chat about the business idea? Best-selling writer and coach Norman Alexander got the business partners involved to show them how to do so in a way that was very easy to follow! 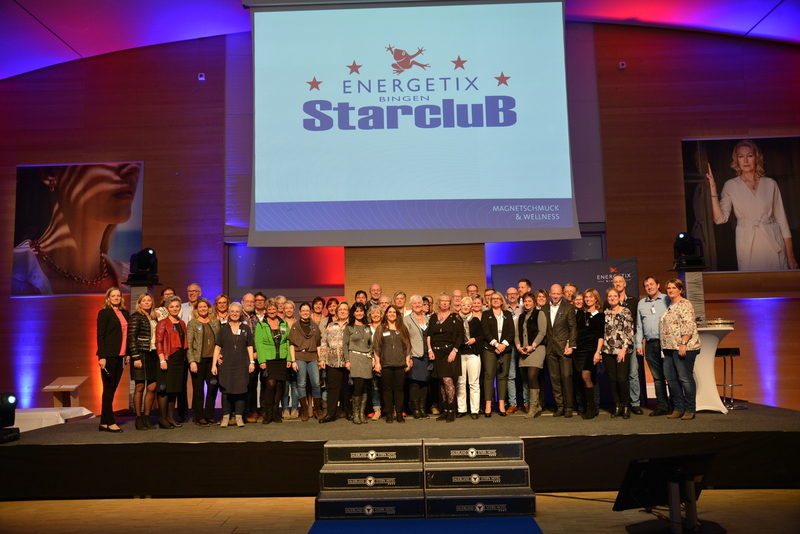 The 60 best in the categories of team-building, overall activities and personal sales, that’s who make up ENERGETIX’s STARCLUB. Jessica Schlick and Alexander Link honoured every one of the STARCLUB members at the event in appreciation of their remarkable achievements. 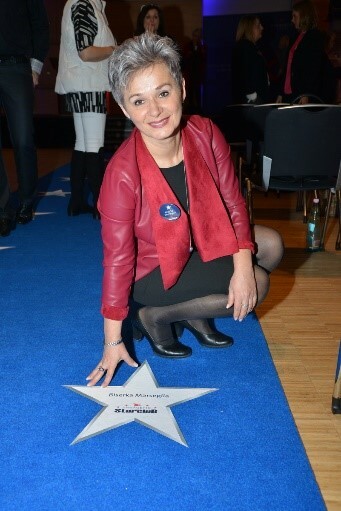 A Walk of Fame with the names of the STARCLUB members who were present at the event also helped create a very special atmosphere in their honour. The day’s programme was concluded with the launch of the new competition. The most attractive reward in the top category among the many other great prizes is a unique trip to St. Petersburg. The participants were able to purchase raffle tickets whose proceeds are going to Nepal and Rabindra Puri throughout the day. 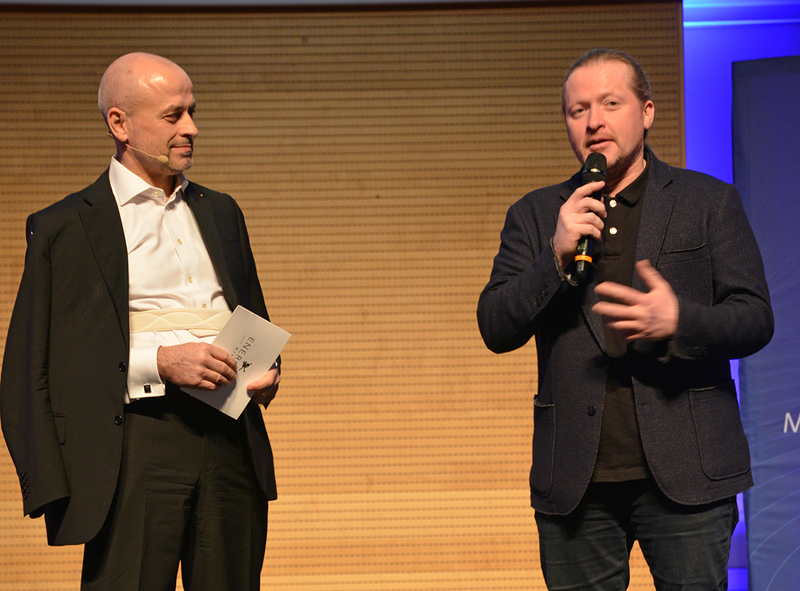 More than 2,000 euros were raised in this way – an amount that Roland Förster generously rounded up to 3,000 euros. 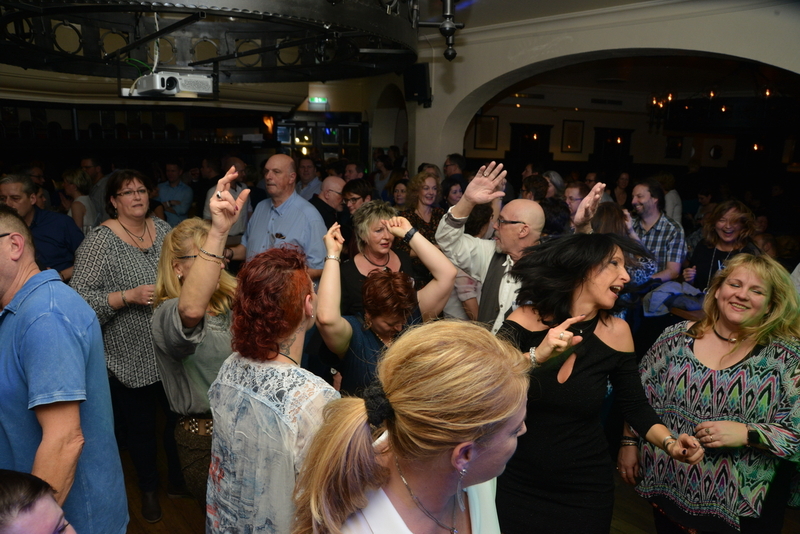 The energy was great and the spirits were high at the party that followed where ENERGETIX’s business partners celebrated their brilliant achievements and an event that turned out to be a total success! 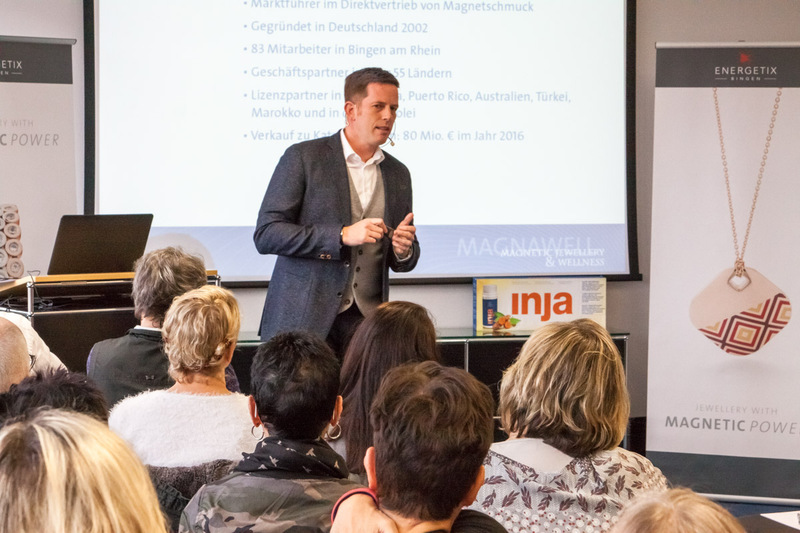 And those who had already travelled to the venue on Thursday and Friday were also able to enjoy an extraordinarily informative event that focused on the Inja dietary supplement and the very popular and motivational collage training! 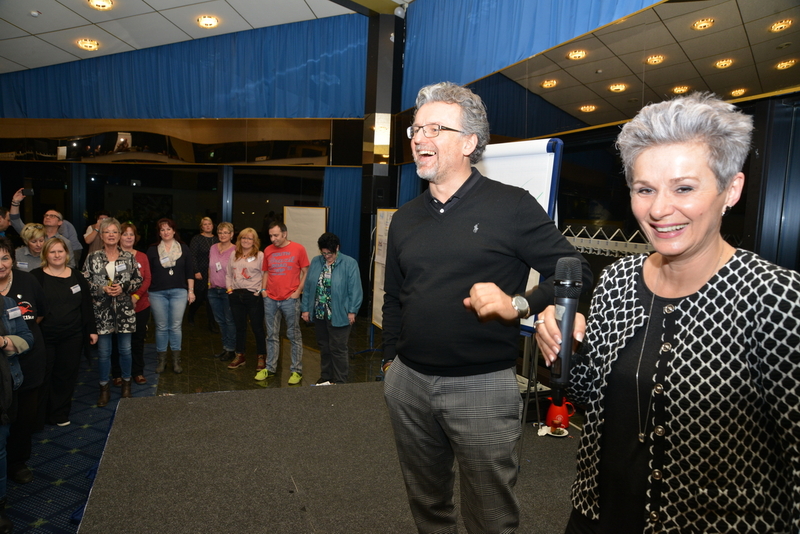 Biba Marseglia and Uli Lang helped the business partners visualize their goals and develop the right attitudes for tackling them. We’ve put the photos for the collage training together for you here. 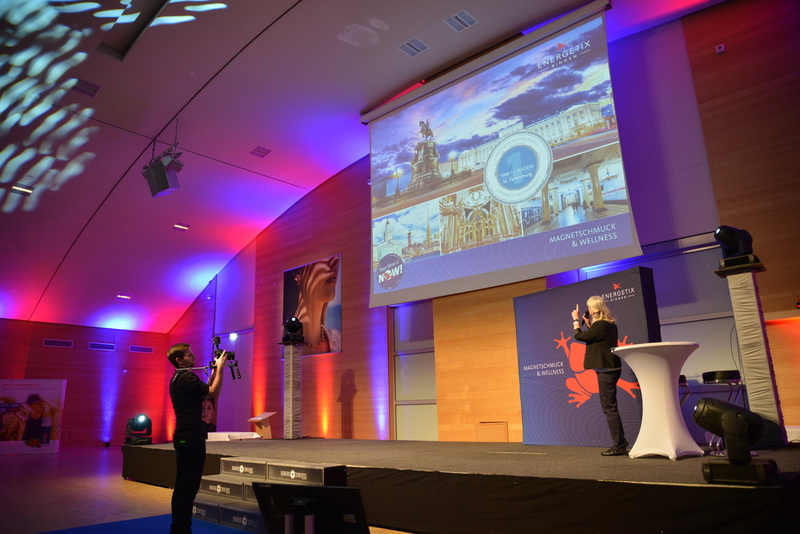 We thank everyone – those on the stage and those behind the scenes – who made this kick-off meeting the great success that it was! 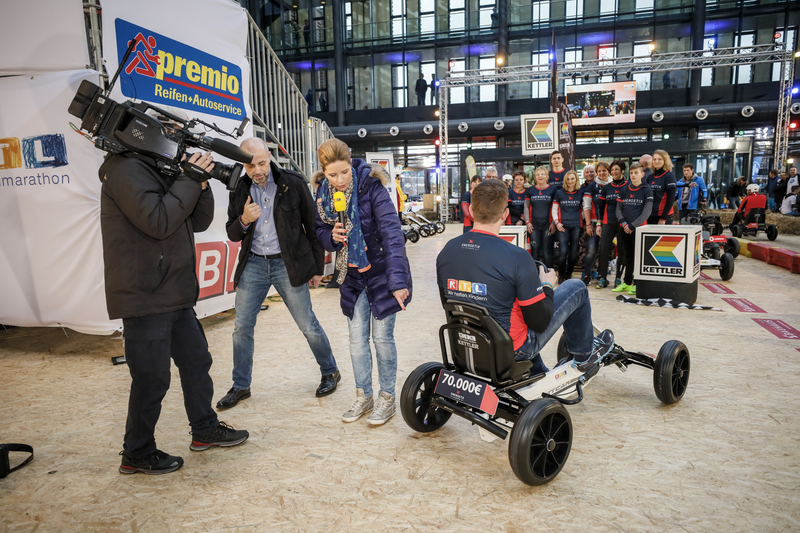 ENERGETIX, Joey Kelly and the 24-hour go-kart challenge: RTL television station’s telethon with ambitious world-record attempt! As we all know, extreme sports personality, member of the Kelly Family and brand ambassador Joey Kelly is not someone who’s known for turning down a sports challenge – no matter how outlandish it may be. So it was clear that he’d be taking part again in the RTL television station’s telethon this year and throwing himself into an energy-sapping 24-hour challenge. This time he had to pedal a go-kart for 24 hours. Without a break. But Joey Kelly wasn’t alone. 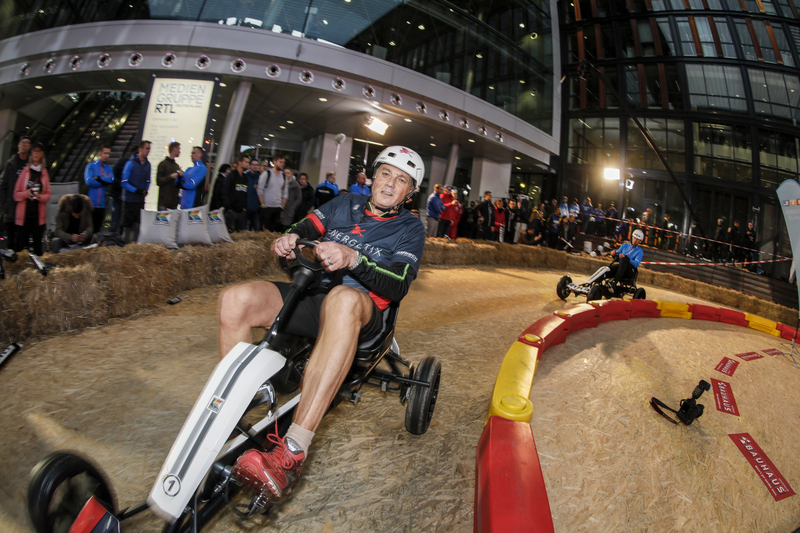 He was joined on the track by 20 other companies determined to provide their support – and their generous donations – with their own go-karts. And because Joey Kelly and ENERGETIX go together like ENERGETIX and social responsibility also do, it was no surprise that the Bingen-based network-marketing company joined up with him again in 2017! Because social responsibility and team spirit are two of ENERGETIX’s absolute priorities. Besides participating in the RTL telethon (this year for the third time running! ), ENERGETIX also fields a team every year to run for good causes in the Gutenberg Half Marathon in Mainz. 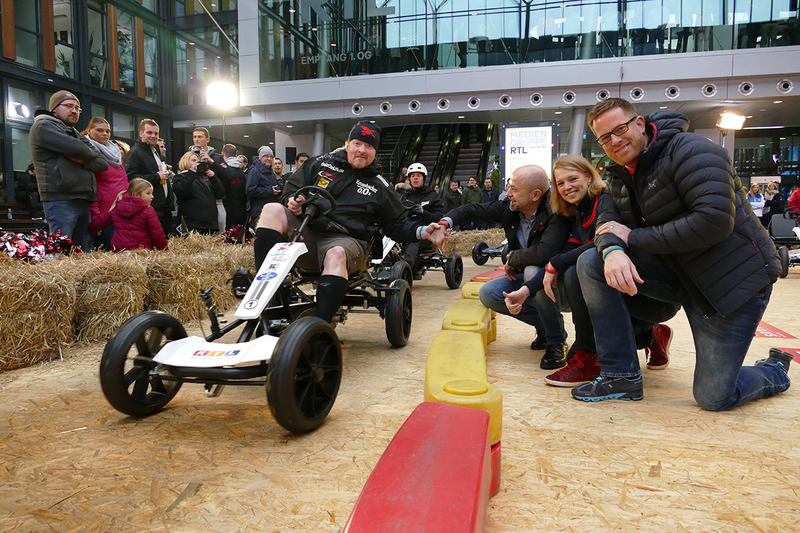 The starting gun was fired on 23 November when RTL’s mega event, it’s telethon and the 24-hour challenge for which KETTLER had made bespoke go-karts for adults, went live on air. 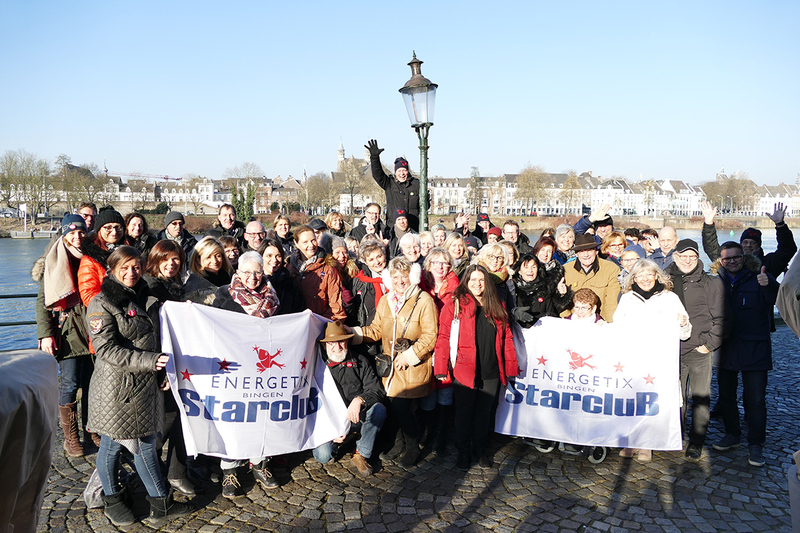 The 25 members of ENERGETIX’s team who took to the track in consecutively had travelled to Cologne from all over Germany to come together and support the good cause with their combined strength and dedication. 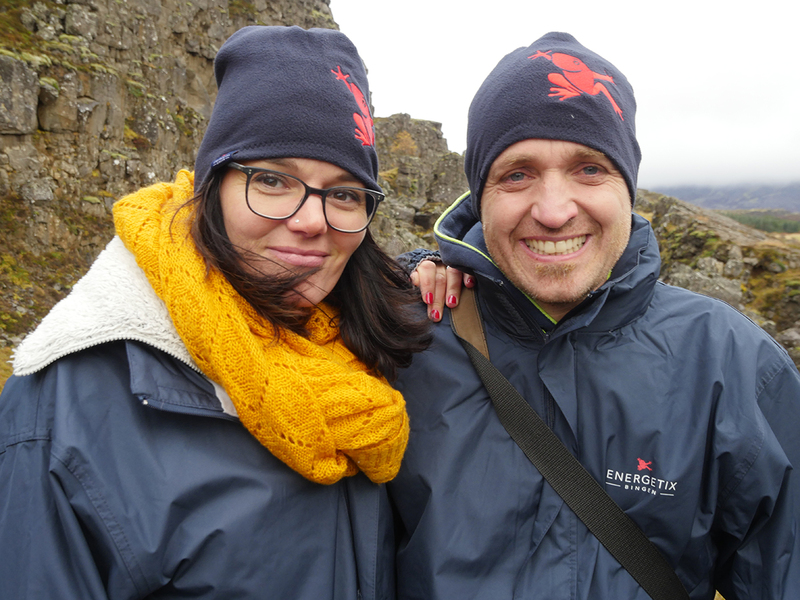 The team was made up of highly motivated ENERGETIX business partners and friends as well as Jessica Schlick and Alexander Link of the management. Many enthusiastic supporters – all wearing shirts in the company’s red and blue colours – also turned up to cheer the participants on! An uninterrupted 24-hour go-kart challenge like this one had never been attempted before. But Joey is a fighter. And it went without saying that he’d do his utmost to break this world record as well. So without a thought for fatigue, pain and the sometimes pouring rain: equipped with the innovative and stylish sportEX bracelets and an ENERGETIX hat with the famous red frog emblazoned on it, Joey completed round after round for 24 hours without a break and so everybody, Joey and the company teams, were able to break the world record! 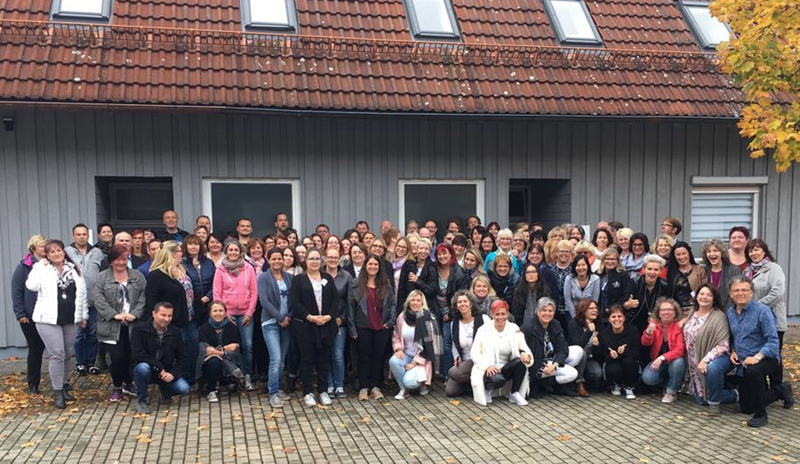 It was Joey’s 12th record at RTL’s telethon – monitored and certified by the “Rekord-Institut für Deutschland”! Everyone was more than overjoyed that they’d achieved their goal: Joey and every single member of the company teams. 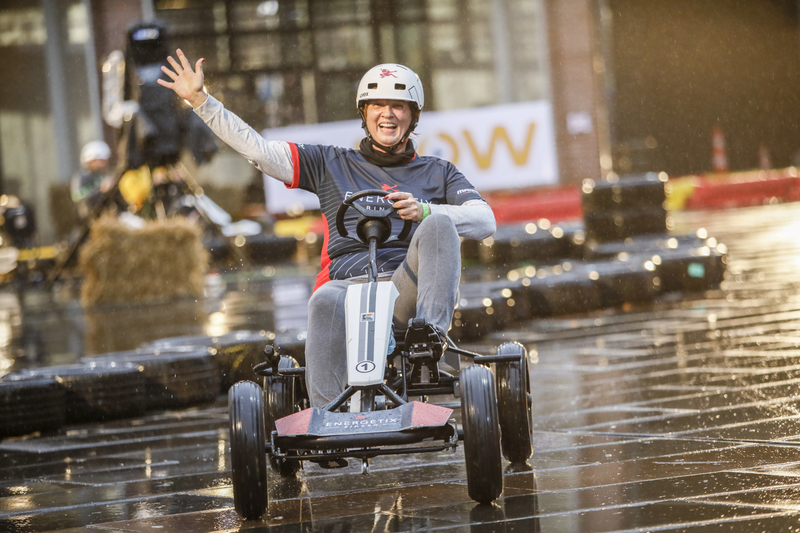 The go-karts travelled more than 7,305 kilometres in total, which was outstanding because 4,000 kilometres would have broken the record anyway. Viewers and celebrities were able to raise a total of 9,188,527 euros through their many different activities at the 22nd RTL telethon with Wolfram Kons for children in need in Germany and across the world! 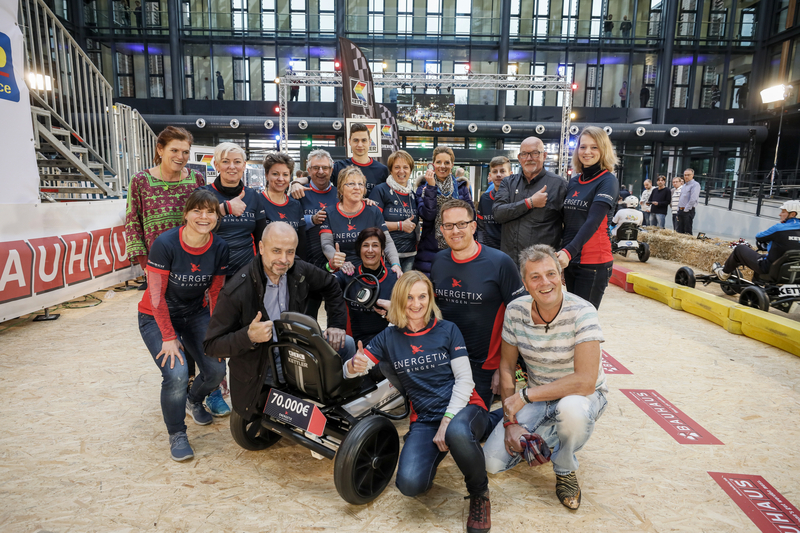 Companies that donated 24,000 euros in advance were able to secure a go-kart for themselves – which in itself had raised almost half a million euros before the challenge had even started! 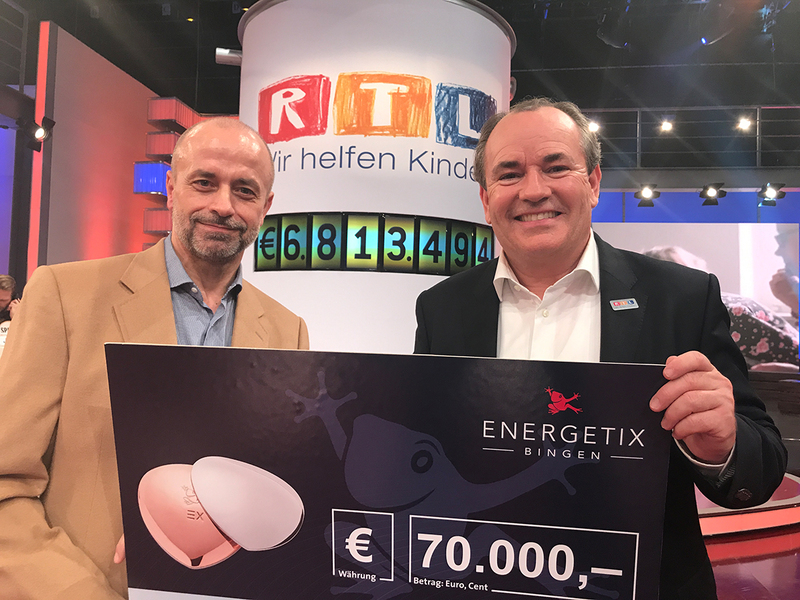 ENERGETIX was able to donate 70,000 euros and so make a huge contribution to the telethon’s success. No-one could have wished for more at the event in Cologne as there was great team spirit, lots of fun, sometimes pouring rain, physical exertion, an iron determination not to give up and lots of magnetic power thanks to the sportEX magnetic bracelets. We’ve put together the most beautiful impressions from these unforgettable 24 hours for a good cause in a jam-packed on-line album for you. We hope you enjoy it! Those of you who were able to score high in the LOVE YOUR BUSINESS reward competition had the opportunity of securing one of the coveted tickets to Iceland! 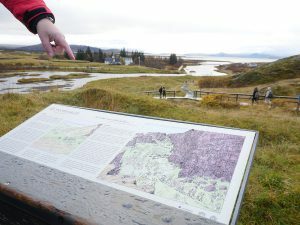 Geysers, fields of lava, breathtaking waterfalls and cliffs: probably everyone can see the unique impressions of Iceland’s nature in their mind’s eye. 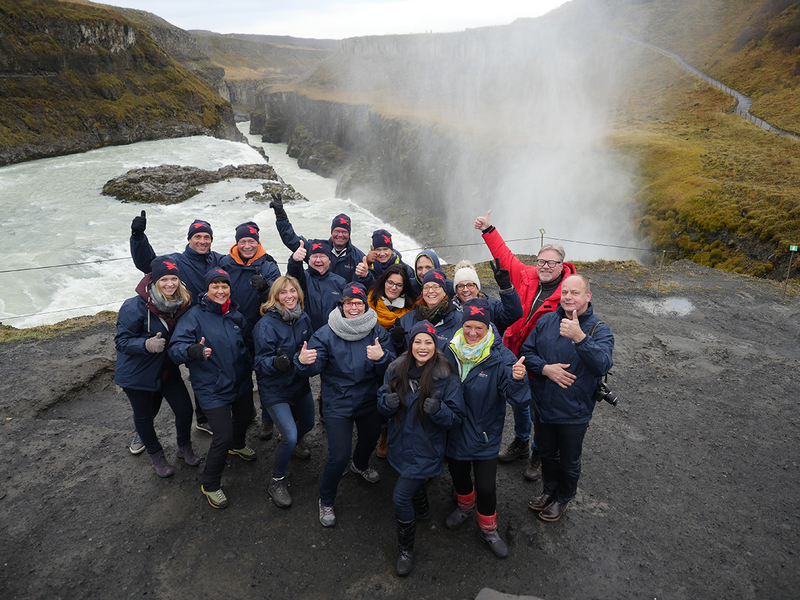 The trip exclusively put together for this rewards competition – delivered both exciting and wonderfully relaxing days on Iceland. 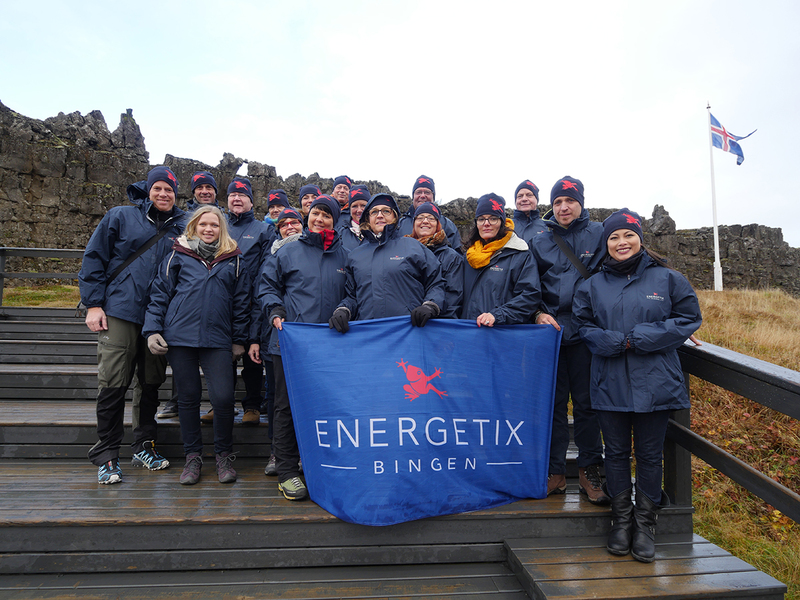 The 14-strong ENERGETIX group headed by Alexander Link (CIO/COO) and Petra Schmeing (ENERGETIX Events) launched their Iceland adventure from their hotel, which was located in Fludir 100 kilometres to the east of the capital of Reykjavik, on 19 October. 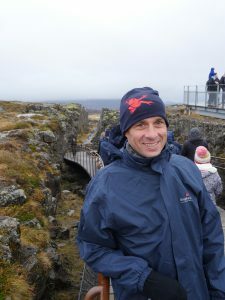 Friday’s leisurely breakfast was followed by a trip to the geologically and historically important Thingvellir National Park, which has been a UNESCO World Heritage Site since 2004. The group then made an excursion to see the famous Iceland ponies before later spending time relaxing body and mind in the between 38°C and 40°C hot spring waters of the “Secret Lagoon”. The people on Iceland call it Gamla Laugin, ‘The Old Swimming Pool’, and it’s probably the oldest swimming venue on the island. The next day’s extensive breakfast was followed by an adventure! The group travelled to Iceland’s probably most famous waterfall – Gullfoss – which is also called the ‘Golden Waterfall’. The water from the Hvita glacier river drops in two cascades into a gorge that is 2.5 kilometres long and 70 metres deep. And the breathtaking nature of the tour was continued with a snowmobile trip on Iceland’s second largest glacier: Langjökull! 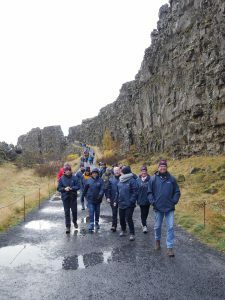 The international group then stopped off for lunch at the Geyser Centre before taking the opportunity to see Iceland’s world-famous geysers up close. 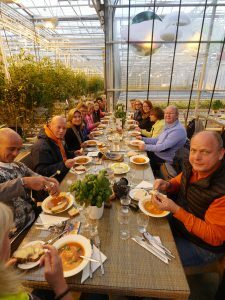 The evening meal, which simultaneously constituted the conclusion of this great training trip, was taken in the centre of Iceland’s enchanting capital of Reykjavik. 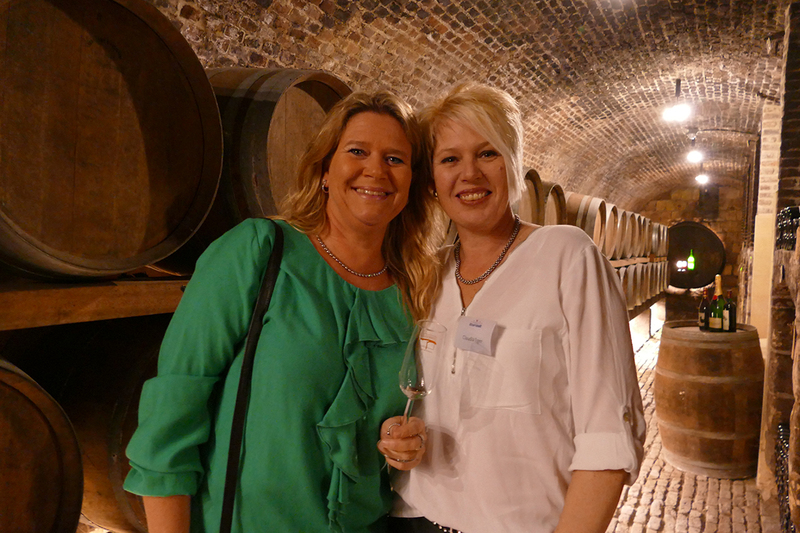 The business partners started their return journey the next morning with many fantastic impressions to take back home with them. Iceland, every nature lover’s eldorado, amazed its visitors with its variety and beauty. 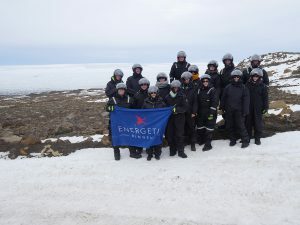 The opportunity to enjoy all this together will strengthen the participants’ team spirit over the long term and will spur them on to continue their efforts towards success … not least to secure another ticket for one of ENERGETIX’s coveted training trips in the future! Did our business partners see the northern lights, elves and trolls? Why not ask our happy Iceland travellers yourself?! ENERGETIX likes to thank its business partners for their extraordinary performances with extraordinary rewards. That’s why special destinations with unforgettable programmes await participants. Why not take a look here at the dream destinations that ENERGETIX business partners have already had the opportunity of visiting? To take an exclusive look behind the scenes, to look over the staff’s shoulders in the warehousing, marketing, design and customer-support departments, to ask questions and get answers and information first hand: such trips to ENERGETIX are both very informative and really entertaining at the same time. They’re also a great boost to team spirit and motivation. 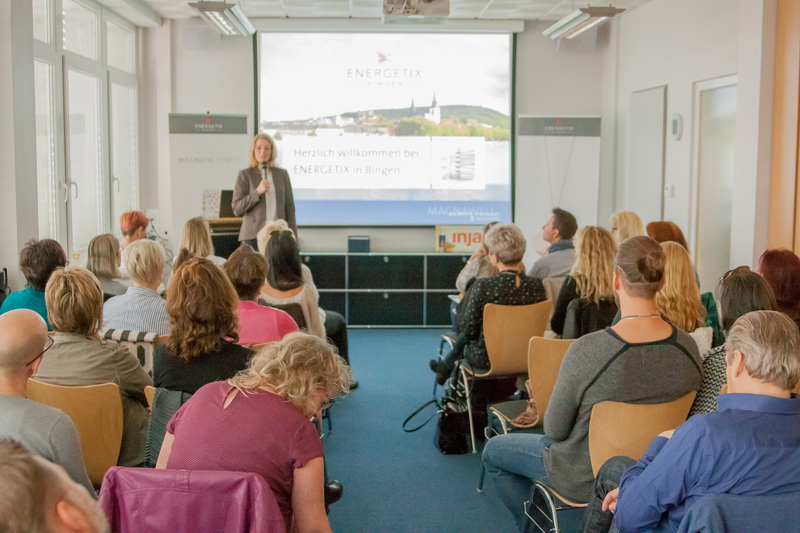 Another two teams of business partners travelled to ENERGETIX’s headquarters in Bingen am Rhein in recent weeks. 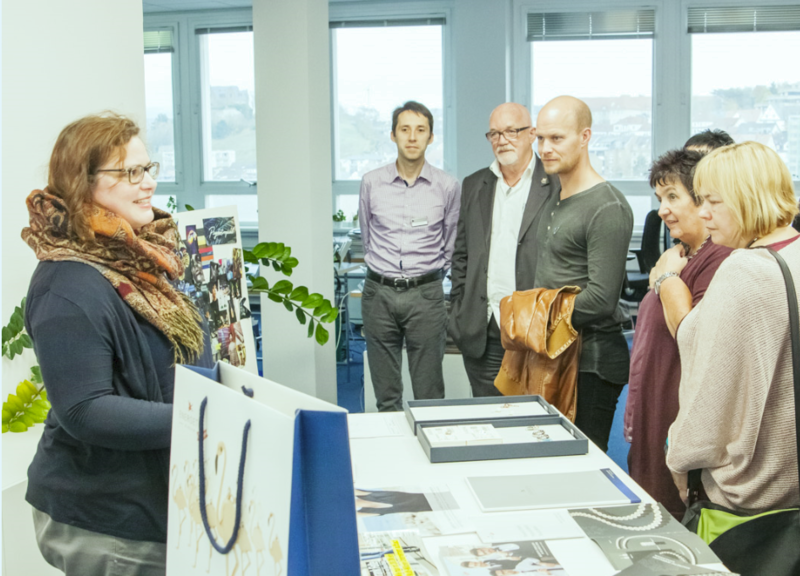 Biba Marseglia had travelled to Bingen from Leutenbach in Baden-Württemberg with her highly motivated team at the end of October and Wolfgang Düsener visited the firm from Northrhine-Westphalia with his 40-strong team whose members were no less motivated on 10 November. 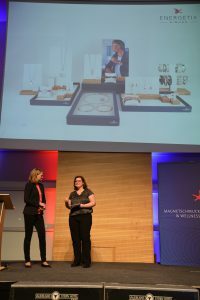 The warm welcome by Jessica Schlick (CMO) and Alexander Link (CIO / COO) and the company presentation was followed by a detailed guided tour of the individual departments at the successful network-marketing company. It’s this direct contact which characterizes all the events at ENERGETIX that business partners appreciate so much. 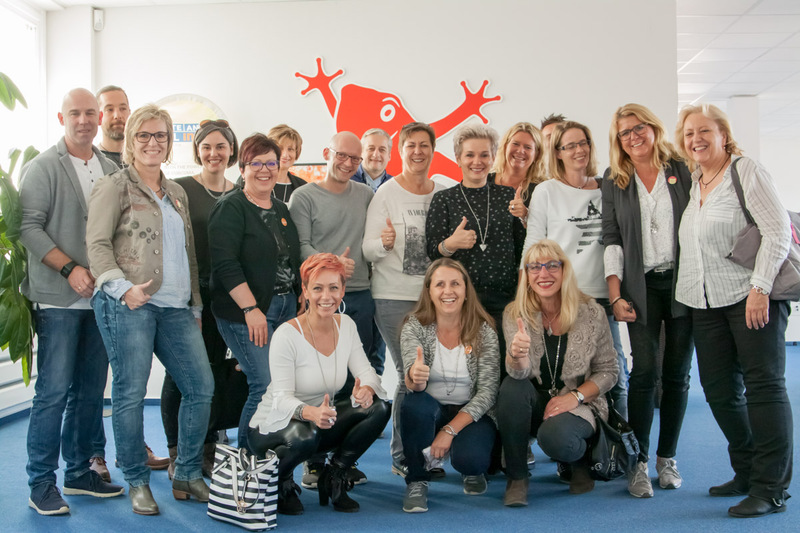 Biba Marseglia and Wolfgang Düsener then took the opportunity to share tried-and-tested tips with their teams and serve up a good helping of motivation during a special training session. 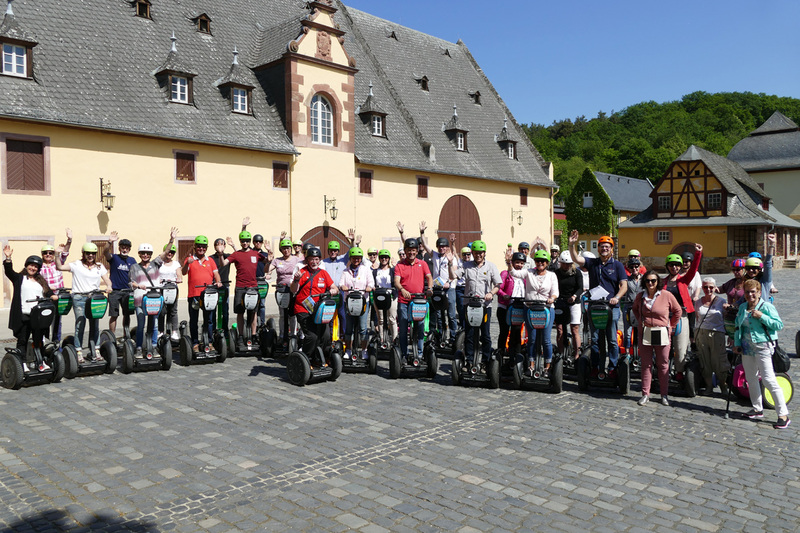 The teams are happy to combine the visit to ENERGETIX with boat trips on the Rhine, tours of the local castle here and hikes through the region’s idyllic vineyards. That’s because Bingen – the gateway to UNESCO’s ‘Cultural Landscape of the Upper Central Rhine Valley’ World Heritage Site – has lots for its visitors to discover. ENERGETIX is always happy to welcome its business partners! Please contact ENERGETIX’s Customer Support directly if you’re interested: Tel. : +49 6721 – 18 23 0, email: info@energetix.tv. Those who’ve already been to the training event that takes place every year in Blaubeuren know how effective and warm it is and always want to come back. So it’s no surprise that there were so many business partners in attendance again on 7 and 8 October 2017. Old hands provided tips, new high flyers were interviewed: newcomers and returnees shared their personal experiences with the participants in an intensive exchange! An expert workshop also provided lots of helpful input in regard to sales, preparing hosts, winning team partners and team management. A bonus programme included relaxation techniques, success meditation and success yoga! ENERGETIX has been a member of various national and international direct selling associations for many years. 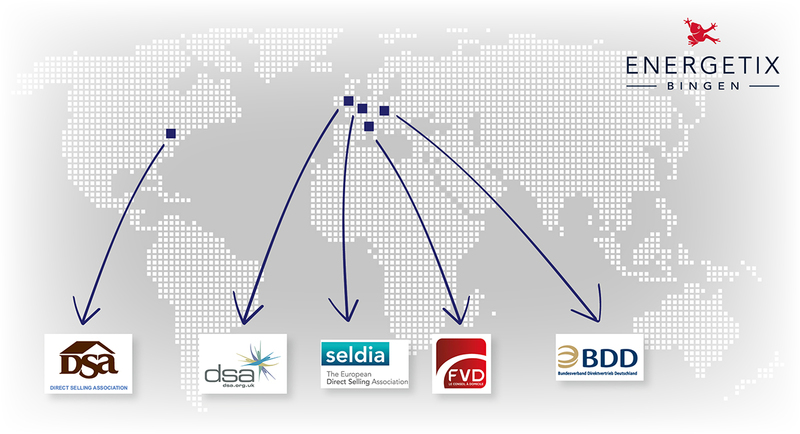 Our ultimate goal is to give our business partners around the world an advance in trust when it comes to our customers: With the seal of an association membership, product sales and business partner activities are demonstrably respectable and fair. Why? Because the associations set and intensively monitor standards of conduct for their members that are far above those of national legislation. News: The WFDSA World Congress 2017 took place in Paris in September under the motto “Own the future”. The WFDSA (World Federation of Direct Selling Associations) represents the direct sales industry worldwide. All the above-mentioned associations are existing members of the World Federation. 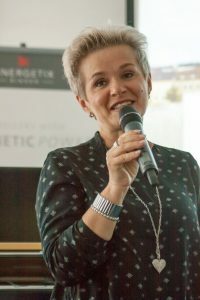 The participants, including ENERGETIX CEO Roland Förster and CMO Jessica Schlick, received important information about global changes in direct sales. Workshops were also held, focusing mainly on digital transformation, social media and other future-oriented trends. 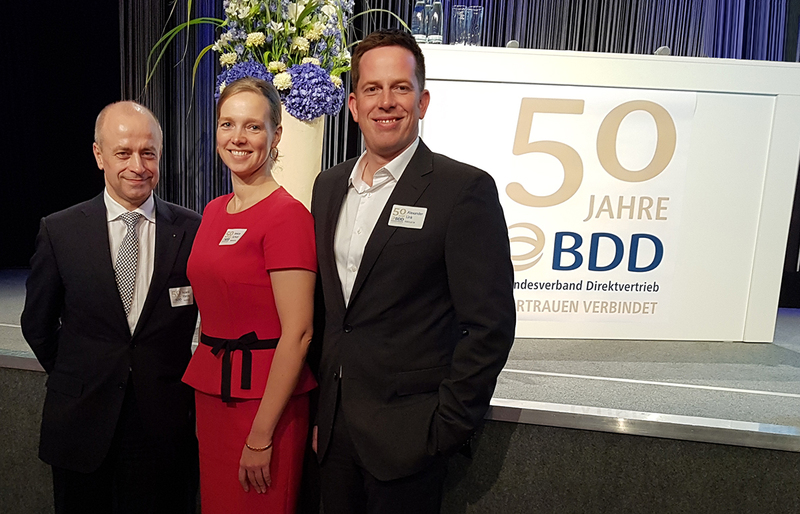 The BDD celebrated its 50th anniversary in October. 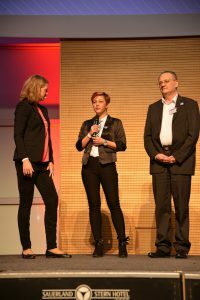 Roland Förster, Jessica Schlick and CIO/COO Alexander Link participated here as well. 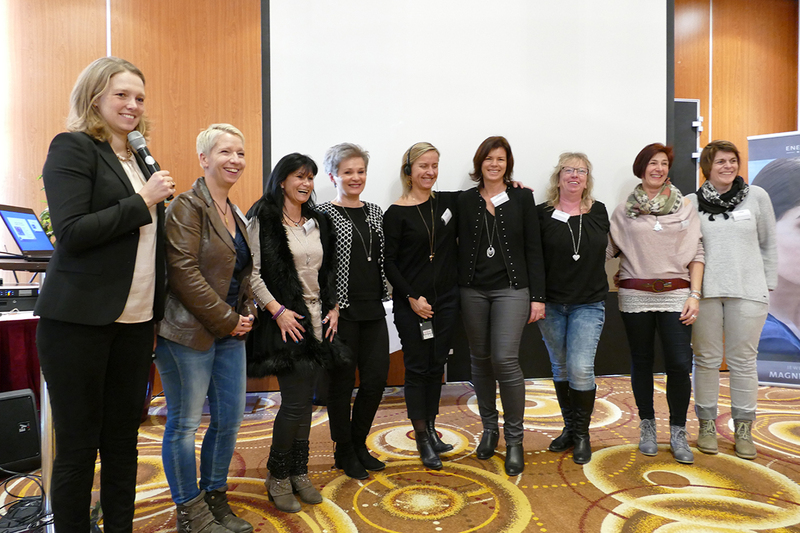 They are also active in several BDD working groups together with employees of other successful direct selling companies. There, they deal with current topics from various specialist areas such as marketing and IT. Exchange within the industry is extremely important, and all companies benefit from the new impulses for their business. 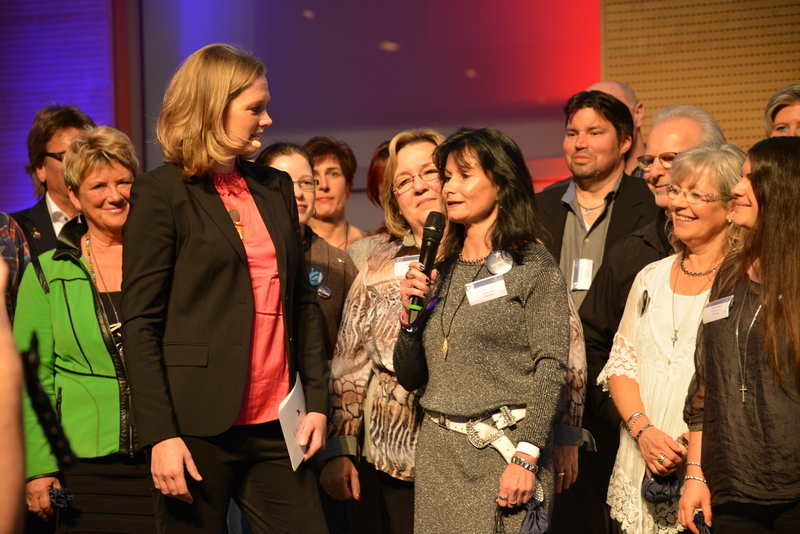 Why is ENERGETIX being a member of the direct selling associations worthwhile for business partners and customers? How do I know whether a direct selling company belongs to these associations? 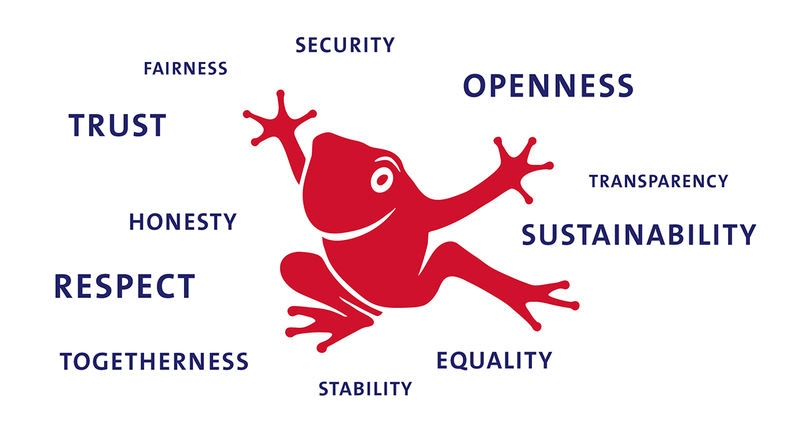 Memberships in the associations and thus compliance with the ethical principles and standards of conduct are often easily recognisable by the logos of the associations on the company’s website. In our case, they can also be found under the menu item “About us > Portrait“. You will find a list of members on the associations’ websites as well. So pay attention to these memberships when choosing a direct selling company. As a customer, you should also place your trust in those companies that adhere to the strict ethical standards of direct selling associations as a member – for your own benefit and safety.